Georgia Tech Lorraine (GTL) is the European campus of the Georgia Institute of Technology, located in the beautiful and historic city of Metz, France. On this campus, you can complete part or all of your Master's degree. Since 1997, the School of Mechanical Engineering has developed graduate program partnerships with the following top European universities: Arts et Metiers Paris Tech, ENSEEIHT, and Sapienza University. These partnerships allow you to graduate with a second Master's degree from Europe, in addition to your Georgia Tech MSME degree. On the GTL campus, the admission and graduation requirements for the MSME are exactly the same as those on the GT Atlanta campus. 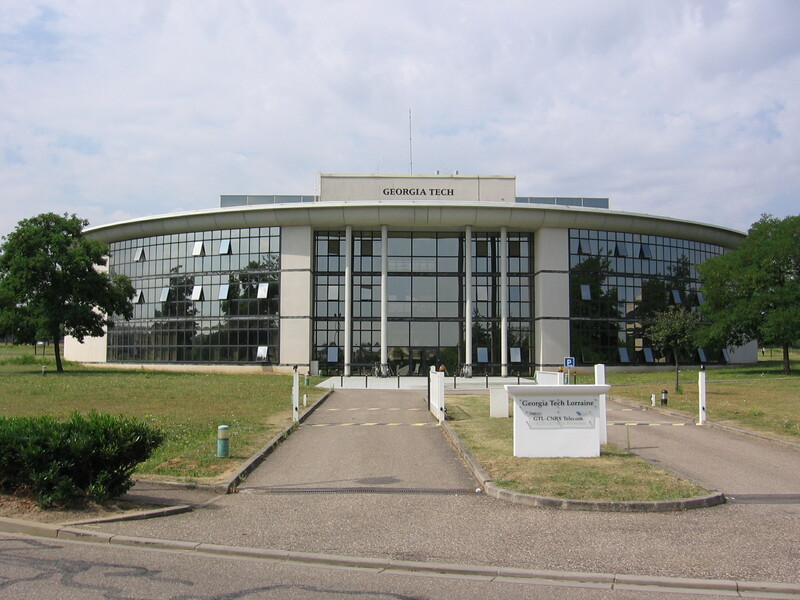 You also have the opportunity to study for your PhD within the UMI 2958 joint laboratory between the CNRS and the Georgia Institute of Technology. Georgia Tech has long-term cooperative academic and research agreement with Arts et Metiers Paris Tech (to include its 8 campuses), and with Ecole Nationale Supérieure Electronique Electrotechnique Informatique Hydraulique Telecommunications (ENSEEIHT) for completing a Master’s equivalent degree from France. Georgia Tech has initiated an academic agreement with Sapienza University di Roma, a leading institution to complete the Master’s degree equivalent from Italy, the Laurea Magistrale.